Toronto is a beautiful city located on the shores of Lake Ontario in Ontario, Canada. Couples can visit the Art Gallery of Ontario, the Toronto Botanical Garden and stroll through the Distillery Historic District. Best things to do in Toronto with children include the Ontario Science Centre, the Toronto Zoo, Centre Island, Ripley's Aquarium Of Canada and the Hockey Hall of Fame museum. The Art Gallery of Ontario is one of the largest art museums in North America and one of the best things to do in Toronto, Canada. The building’s 583,000 square feet are filled with galleries and other office spaces. The Gallery first opened in 1900 as the Art Museum of Toronto, and in 2008, it underwent significant expansions. The AGO has a collection of more than 80,000 works dating from 100 A.D. to today. The Canadian collection contains some of the most important works of Canadian artists, including one of the best collections of Inuit art in the world. European masterpieces include works of great artists such as van Dyck, Gainsborough, Rodin, Monet, Degas, Cézanne, van Gogh, Picasso, and Magritte. The AGO also showcases an impressive collection of Contemporary art, and it frequently organizes special exhibitions. 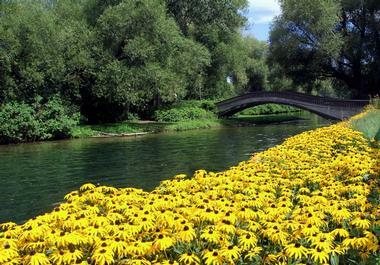 Located northeast of downtown Toronto on Lawrence Avenue East, the Toronto Botanical Garden consists of four acres featuring 17 beautiful themed gardens. The mission of the garden is to educate people about plants and the natural world. The garden was formerly known as the Toronto Civic Garden Center, but in 2003 it was designated as a botanical garden. The Entry Garden, designed by Piet Oudolf of the Netherlands, is a meadow made up of ornamental grasses and perennials. The Woodland Walk is a garden of native perennials, shrubs, and trees that represent the prairie savannah ecosystem of the local region. The garden also offers several children’s programs such as March break camps and summer camps. 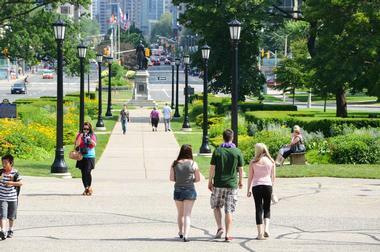 If you are wondering what to do on a sunny day in Toronto, this is a beautiful place to visit. Located between Parliament Street and Cherry Street, the Distillery Historic District is an entertainment and historic area in the heart of Toronto just a short walk from the central business district. The 13 acres and ten streets of this area are full of art galleries, artisan shops, boutiques, cafes, restaurants, and performance venues all housed in the historic buildings of the former Gooderham and Worts Whiskey Distillery. With more than 40 heritage buildings, the Distillery District contains the largest collection of Victorian industrial architecture in North America and was designated as a National Historic Site of Canada in 1988. If you are looking for things to do in Toronto today, this is a great place to start exploring. The Distillery District also features Distillery Sunday Market and the Music City Summer Series, both popular events. 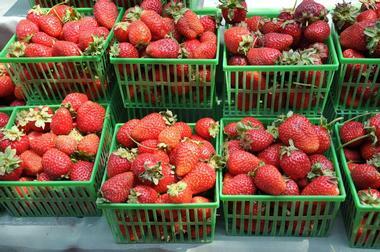 The 208-year-old St. Lawrence Market is a must-visit for all food lovers. It serves as the place of work for 120 vendors, artisans, and merchants, many of them from families that have been shopping at the market for generations. The market consists of three main buildings. South Market hosts more than 120 shops selling fruit and vegetables, meat and fish, baked goods, dairy products, and much more. 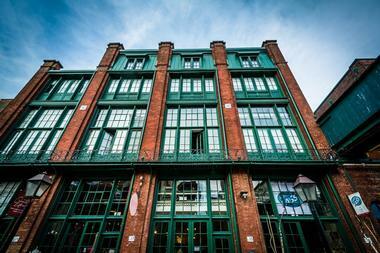 A gallery that often hosts art exhibitions is located on the second floor. The North Market has been known as Saturday Farmers' Market since 1803, and it is the venue where Ontario farmers bring their fresh produce. 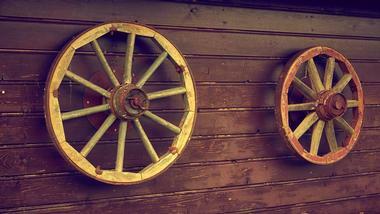 On Sundays, antique dealers flock to North Market to sell their charming and beautiful wares. St. Lawrence Hall, originally built in 1850, houses several retail businesses, city offices, and the Great Hall, a venue often used for weddings and other big events. St. Lawrence Market is a fun, free attraction in Toronto. Located on Don Mills Road northeast of downtown Toronto, the Ontario Science Centre is a science museum that was founded in 1961 and one of the best things to do in Toronto with kids. 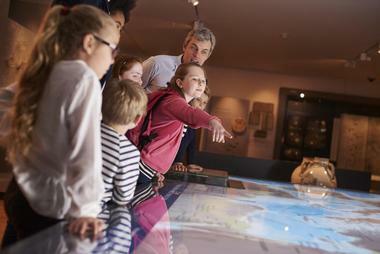 There are several hundred interactive and passive exhibits that focus on various fields of science such as anatomy, astronomy, and geology, among others. Toronto is a big city that has a lot to offer. The best way to get to know Toronto is with the help of a very good friend who happens to live there, but that’s not an option for everyone. For those people, the next best thing is Toronto Greeters. The greeters are locals who love and know their city and are willing to give you a few hours of their time to share that love with you. Call them about a week before your visit and explain what you are most interested in doing, the amount of time you have, and any other preferences. You will be matched with the perfect greeter, who will take you to the city’s hidden spots and unknown nooks and crannies either on foot or by public transit. You will see the most interesting architecture and the best shopping destinations, along with arts, culture, cuisine, festivals, markets, and much more. Since the multicultural residents of Toronto speak more than 180 languages, it is very likely that you can find a greeter who speaks your mother tongue. All greeters are volunteers and the tours are free of charge. 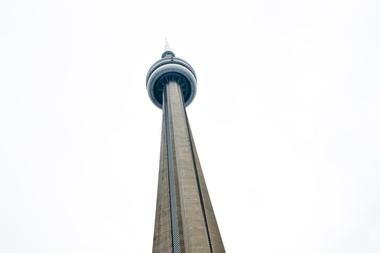 Exploring Toronto with the Culinary Adventure Company is an experience like no other. On these tours professional chefs, food executives, and restaurant owners will guide you and show you the best places to eat in Toronto, some of which remain undiscovered by people who have lived in the city their whole lives. 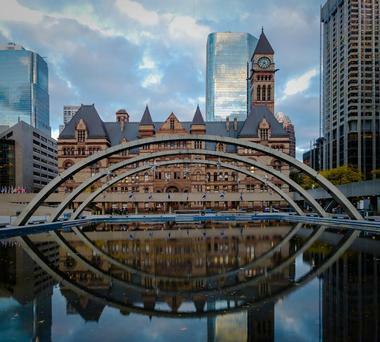 The tours take advantage of Toronto’s unique cultural diversity, and you will explore one of Toronto’s eleven ethnic neighborhoods. There, you will have the chance to meet chefs, bakers, cake makers, and food growers, and you can sample all of their delicious products. If eating delectable treats is not enough of an adventure for you, join one of the Company’s Culinary Adventures such as Canoe Paddle combined with a five-course Gourmet outdoor Picnic, forage for wild mushrooms, or visit wine makers at their vineyards. You can also take cooking classes and learn how to make cheese, chuck oysters, or learn the art of barbecuing. You can enjoy these great tours alone or with the whole family, kids included. 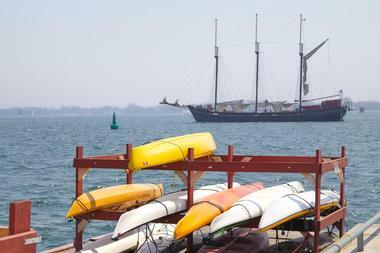 Both tourists and locals love spending a nice, relaxing summer day on Toronto Island. To get there, you start with a ferry ride from Bay Street, a pleasant trip that allows you to take in the magnificent view of the city. If you are travelling with kids, go straight to Centreville, Toronto's most popular kids’ amusement park. You can also go swimming at the spacious beach that stretches along the entire main island. You can rent kayaks and hop from one island to the next via picturesque canals. Exploring the island by bike is particularly exciting as there is an extensive network of bike trails and bridges, and if you didn’t bring a bike, you can always rent one. There is even a petting zoo you can visit at Far Enough Farm if the kids get restless, or you could find a shady, secluded area and simply relax. There is usually some kind of festival going on at the island, so be sure to check one out if you have the chance. Casa Loma in Toronto will surprise you; it’s an authentic, majestic Gothic Revival castle in the middle of a modern city. Canadian financier Henry Pellatt had a dream of owning a castle, a dream he fulfilled with the construction of Casa Loma, which is today a popular tourist attraction. Take a tour of this castle and explore its unique and intricate details. 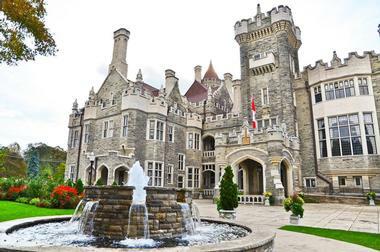 Casa Loma has all the features you would expect from a castle: secret passageways, tall towers with a fabulous view of the city, sweeping staircases, an 800-foot long tunnel, large stables, and five acres of wonderfully maintained gardens. The castle can even be rented for special events – it is a very popular wedding venue. The Toronto Zoo is located on the outskirts of the city in Rouge Valley on Meadowvale Road and is a popular family attraction in Toronto. 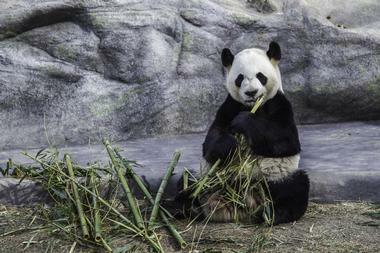 With 710 acres of space, it is one of the world’s largest zoos and a popular attraction in Canada. The zoo serves as the home of about 5,000 animals from more than 500 species. There are almost six miles of trails for walking between the diverse habitats featured at the zoo. Tropical animals live in climate-controlled indoor habitats, while native and cold climate animals live mostly outdoors. The Yoga Sanctuary is the brainchild of Kimberley Sopinka and Cynthia Funk, two sisters who combined their passions and life experiences and opened the first yoga studio on College Street in 1999. In 2003, they opened their second studio in Toronto's east end on Danforth Avenue. Their goal is to offer “a safe haven for inward journey.” Whether you are a beginner, looking to develop your practice or you want to become a yoga teacher, the Yoga Sanctuary will have the right course for you. They offer classes in Hatha, Ashtanga, Restorative, Vinyasa, and Yin Yoga. 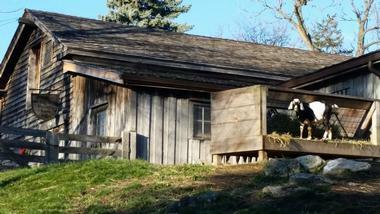 Both studios are located in very beautiful, spiritual spaces that will make you feel comfortable and relaxed. The studio on College Street is located in the Odd Fellows Hall in downtown Toronto. Built in 1891, this yoga studio used to be an elegant ballroom, and today, it features the same beautiful hardwood floors and is full of bright, natural light. Danforth studio is also located in a historic building built in 1856, and it has exposed brick walls and magnificent floor-to-ceiling windows. Modern urban life can be stressful, and every now and then we need to escape the demands of work, family, or social obligations and unwind. Fortunately, you don’t need to go far to get some much needed nurturing and renewal. 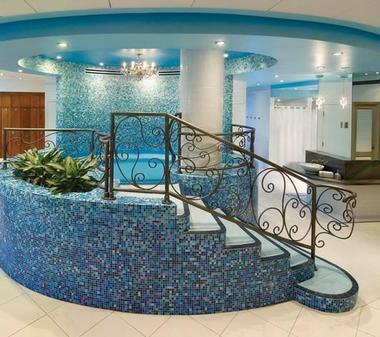 Visit Elmwood Spa, a peaceful oasis located in a refined historic building in downtown Toronto. Elmwood Spa has been pampering busy Torontonians for almost 30 years, and it has developed a reputation for its excellent facilities and qualified staff. Among the most popular offerings are the Retreats. Exploring Toronto by bike is a great way to see city’s hidden treasures and to really get a feel for the place and all its thrilling sights and sounds. 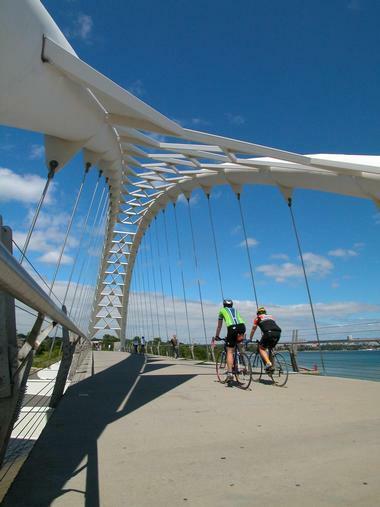 With Toronto Bicycle Tours, you can easily get to know Toronto effortlessly from one of their comfortable bikes. 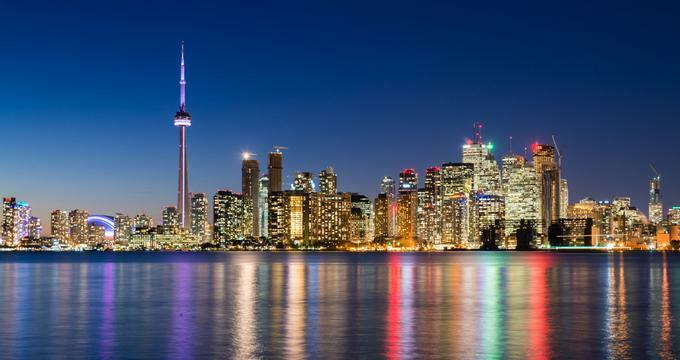 In the company of one of their experienced and knowledgeable guides, you will get to visit Toronto’s ethnic neighborhoods and lush parks, learn about its culture, history, and people, and, of course, taste the delicious food the city has to offer. The pace is easy and the tours are suitable for all ages and fitness levels. A good bicycle, helmet, snacks, and water are included. If you feel adventurous, you can rent one of their bikes and tour on your own. Traipsing through the urban jungle of Toronto can be just as adventurous as exploring any other type of wilderness, especially when you explore the city with comedian and tour guide Jason Kucherawy and his merry friends of Toronto Urban Adventures. On this tour, you will go to the exciting and unique places locals love. You will visit Chinatown, one of the largest in the world, with its characteristic colors, enticing smells, and impactful flavors. You’ll take an exciting trip through 100-years old Kensington Market and visit the Distillery district, along with some very good pubs where you will learn, hands on, all about local beer and breweries. You can also see where pigs fry in Toronto and taste the best bacon, chops, sausages, and hams and talk to several butchers passionate about their work. All tours are on foot and last from two to four hours. Located in downtown Toronto, next to the CN Tower, Ripley’s Aquarium is one of the largest in the world. 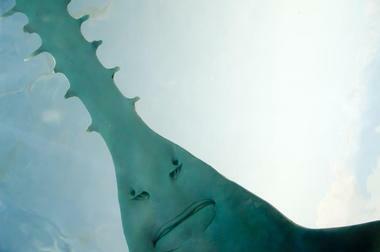 You can visit 16,000 underwater animals swimming in 5.7 million liters of water and enjoy one of 100 interactive shows. There are dive shows every two hours and many of them allow you to touch some of the animals. The Princess of Wales Theatre is the newest addition to the Mirvish family of theatres in Toronto’s entertainment district. 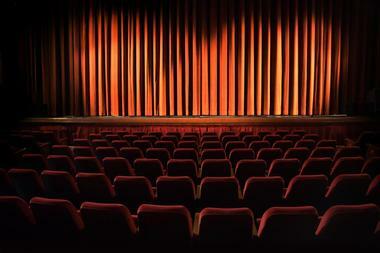 It is a 2000-seat playhouse located only a block away from the historic Royal Alexandra Theatre. The theatre is the first privately owned Canadian theatre to open since 1907. The Princess of Wales Theatre first opened its doors in 1993 with the production of the popular musical Miss Saigon. Designed by the architect Peter Smith, the theatre artfully combines refined comfort for 2000 spectators, a modern stage with a fly tower, and the traditional elegance of a nineteenth century theatre. Many visitors admire the lovely theatre’s many art features, which include murals, sculptures, and even the elegant flooring, as much as current productions such as Motown the Musical. 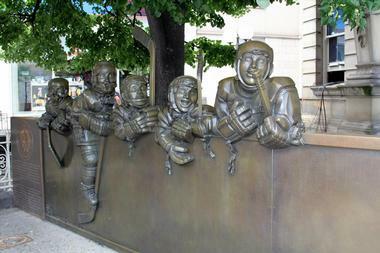 Located on Yonge Street in Old Toronto, the Hockey Hall of Fame is a museum dedicated to the history of ice hockey. The museum was established in 1943 and was originally located in Kingston, Ontario. In 1993, it moved to its current location, the former Bank of Montreal building in Toronto. Centre Island is one of several islands on Lake Ontario, and it’s just a short ferry ride south of Toronto’s Harbourfront Centre area. 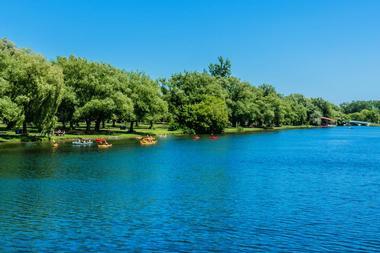 It is a quaint island park and popular getaway destination for those who want to escape the hustle and bustle of Toronto. There are several attractions on the island including Centreville Amusement Park, which has over 30 rides for children and adults including a historic carousel from 1907. Established in 1959, Far Enough Farm is a petting zoo that allows children and adults to get up close to over 40 species of farm animals as well as exotic birds. There are numerous cafés and restaurants on the island, and Centre Island also hosts special events such as parties and weddings. EdgeWalk at the CN Tower is an adventure walk around the outside of 360 Restaurant, the roof restaurant of Toronto’s CN (Canadian National) Tower. At an altitude of 1,168 feet (356 meters), the EdgeWalk is an extreme outdoor urban activity. The walk lasts about 20 to 30 minutes, but the total experience lasts one and a half hours. The EdgeWalk provides a special Walk Suit that visitors wear over the top of their clothes. Depending on the weather, hats, gloves, and jackets are also provided. The walk begins at “base camp” on the ground level of the tower then continues to the EdgeWalk entrance. The outside walk begins and ends on the south side of the restaurant roof. 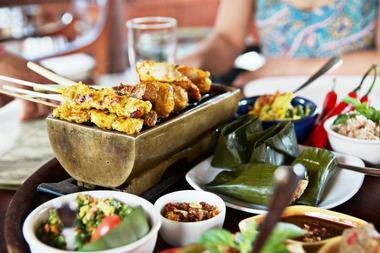 Technically, the service provided by Savour Toronto falls under the category of culinary tourism, but you could just as accurately call it eating your way through Toronto’s best restaurants, pastry shops, coffee shops, markets, and other establishments providing great food. 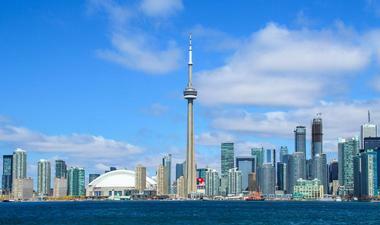 Savour Toronto has won numerous awards, verifying the excellent quality of their tours. They take groups from two to sixteen people, and depending on the season, you can select between several imaginative and appetizing tours. If you are a coffee aficionado, they will show you some of the best coffee spots in town, giving you the chance to taste some fantastic coffee and pastries. Alternatively, you can wind your way through Kensington Market, which has spent more than 100 years on Toronto’s food scene. Vacation ideas for foodies: 10 Best Places for Dessert in Toronto and Toronto Botanical Museum. Black Creek Pioneer Village is an open-air heritage museum that is located northwest of downtown Toronto on Murray Ross Parkway west of York University. The Village overlooks Black Creek, which flows into the Humber River. The Village, which first opened in 1960, recreates life in 19th century Ontario and offers visitors a glimpse into the past. There are more than forty 19th century buildings all decorated in the style of the 1860s and arranged with pieces of period furniture. The buildings include houses, a one-room schoolhouse, a church, and a general store, among other features. The Village also features visiting artisans as well as historical re-enactments, and it can be rented for special events. Black Creek Pioneer Village is open every day from May 1 to December 23. You may also like: 25 Must-Try Romantic Restaurants in Toronto. Tasty Tours is a walking tour that focuses on sweets such as chocolates, backed goods like cupcakes and pastries, and other tasty treats. Guides lead tours around various Toronto neighborhoods where visitors sample sweets made at establishments like bakeries and chocolatiers. In addition to the tastings, tour guides will include interesting information about the history of sweets. Several guided tours are available, including the Trinity Bellwoods Chocolate Tour, which includes tastings at five stores in the neighborhood between Queen West and Dundas West. The two-hour guided Kensington Market Sweets Tour takes guests to sweets stores in the market where they learn about the history of sweets and are able to taste samples. Midfield is a sophisticated wine bar and tavern within Toronto's Little Portugal neighborhood, helmed by restaurateur Giuseppe Anile and executive chef Mark Redman. 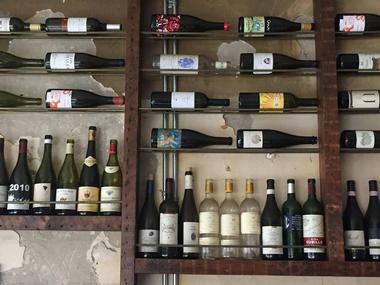 The cozy European-inspired restaurant offers more than 50 fine international red, white, sparkling, and dessert wines available by the glass, with more than 300 sold to diners by the bottle. Constantly-changing dinner menu selections highlight gourmet land, sea, and vegetarian fare, prepared with fresh, natural ingredients such as wild Atlantic halibut, acorn squash, rutabagas, and unusual types of mushrooms. Light bar bites include oysters on the half shell, charcuterie boards, and French fries with house-made ketchup. At least once in a lifetime everyone should abandon reason, leave behind everything orderly, join the motley pirate crew and sail the seven seas in search of adventure. You can get the craving for the romance of pirate life out of your system and get your kids the best adventure of their lives by joining the Live A Pirate's Life adventure that sails on the 45-foot ship island Rogue from Centre Island in Toronto. 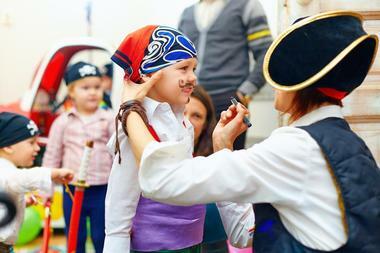 All passengers or “pirates in training” are encouraged to come dressed in their best pirate costumes. Once on the ship, they will get their gruesome tattoos (washable, of course), a quick training on the pirate life and then sail into the sunset in search of adventure and sunken treasures. The adventure lasts about an hour and half and is suitable for kids of all ages and parents too. Pirate Life is huge hit for birthday parties. The only problem is: how will you ever top that? 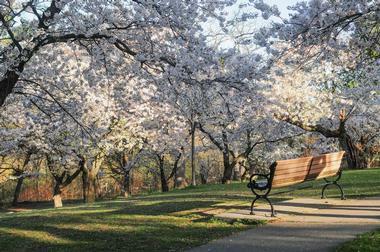 Located west of downtown Toronto on Bloor Street West, High Park is a municipal park that consists of 400 acres of mixed natural and recreational areas. Opened in 1876, High Park features gardens, playgrounds, and a zoo, as well as cultural, educational, and sporting facilities. Situated just north of Lake Ontario, about one third of High Park has been kept in its natural state to serve as an example of the rare local oak savannah ecosystem. Within the park are two ravines, many walking trails, several ponds (including a spring-fed pond), picnic areas, and much more. Popular events such as “Shakespeare in the Park” also take place in High Park. You may also like: 15 Best Casual Lunch Spots in Toronto.